cdcindonesia.com - The enthusiasm of all job seekers, the following is information about job vacancies that come from one of the companies engaged in transportation, namely:PT Kereta Api Indonesia (Persero) - KAI or referred to as "PT KAI (Persero)" is the Indonesian Railways Corporation, PT KAI (Persero) is a state-owned railway company in Indonesia, fully-owned by the Government of Indonesia. Based in Bandung West Java, PT KAI (Persero) operates primarily as an operator of public railways in Indonesia. PT KAI (Persero) now has 9 Operation Area Offices (DAOP), 4 Regional Division Offices (DIVRE), 7 Balai Yasa spread in all over Indonesia. PT KAI (Persero) also supported by 6 directly-owned subsidiary companies; PT Kereta Api Logistik, PT Kereta Api Properti Manajemen, PT Kereta Api Pariwisata, PT KAI Commuter Jabodetabek, PT Reska Multi Usaha, and PT Railink. As of December 2016, PT KAI (Persero) has 460 locomotives, 95 diesel trains (KRD),760 electrics trains (KRL), 1,745 trains, and 6,997 carriages. 1.9% from 352,309,298 passengers in 2016. Have a high school diploma (SMA / MA / SMK / MAK) with a minimum National Exam score of 6.0. The age of applicants as of 1 February 2019 is as low as 18 (eighteen) years and as high as 25 years. Have a minimum height of 165 cm with an ideal body weight. Not tattooed and not pierced. Not involved in drugs or psychotropic drugs. Never been sentenced to prison based on a court decision that has permanent legal force. Never been dismissed in a subsidiary or other institution due to disciplinary punishment. 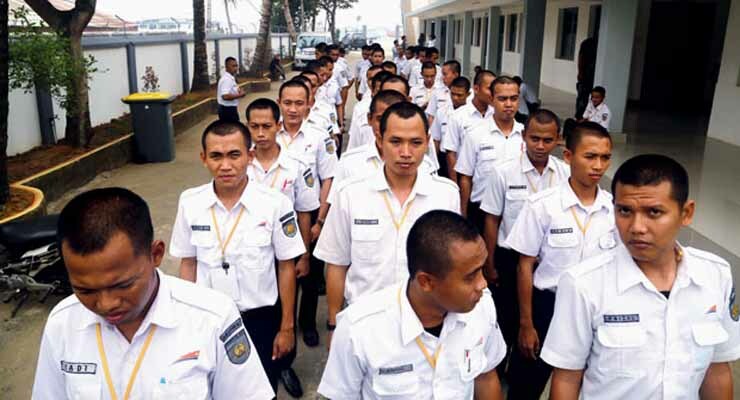 Passed in all selection process organized by the recruitment committee of PT Kereta Api Indonesia (Persero) in 2019. Latest date 16 February 2019.All applications are appreciated and will be treated confidentially. Only qualified, short-listed applicants will be invited for furthers process.